Any home appliance has a power supply. That means power is no problem to support a wireless hub inside the device. Each AC power plug can run as wireless to power line communication gateway. In the basement I run a washing machine. In the kitchen I run a fridge, dish cleaner and two ovens. All of them could communicate to each other on PLC (Power line communication). Nevertheless, any device could work a hub as well. Basement and ground floor in our house can be covered easy. Only the first floor in my house s missed. In first floor are several lamps like in any floor. Each lamp or switch can run as a hub / gateway as well. That means a co-operation of home appliance companies with one of the big players like companies its lamps or switches could be helpful. There is no space left for an expensive licence. The communication protocol must cover several bearers like wireless and power line communication. 6LoWPAN is licence free, covers wireless on 868/915 MHz and 2400 MHz and supports power line communication as well. 6LoWPAN is IP or better said IPv6. 6LoWPAN describes UDP/IP and TCP/IP. TCP/IP on wireless bearer makes no sense. With repeating automatically we will block just the radio channel. An acknowledge from end to end is the better option. All the upper mentioned devices are on IP. Who will take care on security. Any car on a German and US road has to follow strong specifications. Where is the difference between moving objects like cars and moving data? Both have to be secure. A switch at at the wall I can replace with another switch easy. The on and off is since tens of years the same. With dimmers it is already difficult. Not each dimmer can dim each light technology. Anyhow, worst case I replace my dimmer. The wire behind is the same. My first washing machine is still working and I still order spare parts. The heating in our basement is already estimated 10 years old. If we like we can upgrade it to save further energy, but the invest will be higher than the cost saving. The heating already has an outdoor and an indoor temperature sensor. The smart home is for fun? There is no need to know the energy level of our house in real time on my smart phone during a business trip. Truly spoken, there is no time left to watch a slow moving process on my smart phone. Anyhow, our house is saving more energy than the NEST (wireless temperature sensor) ever can save. There is a real need for AAL? The answer is YES. In many countries the governments have a problem with the ageing society. We are getting older and older, but there is often no money left to finance the residential homes for the elderly. As longer the elderly can stay at the flat at home the better it is. It will save money and gives a better quality of life. Right now companies are developing electronic carpets to detect where an elderly has fallen down. This expensive digital carpets and their installation we can save and replace to home appliance with wireless hub / gateway because they promised that they are able to detect the standing (or fallen) person in a room. The man down trigger in the wrist band will detect that the elderly is fallen. 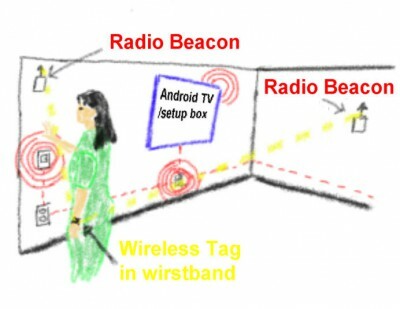 These sensors are not new and already used in an Austrian Ambient Assisted Living system. The Austrian system is using AC plugs with 2400 MHz radio links to create small “radio islands”. Each island has a unique ID and is communicating with the wrist band. The 2400 MHz radios in the AC plugs are able to run as meshed networks. Last but not least other AAL systems already monitor the use of the toilet, dish washer, coffee machine, fridge, oven, TV and further. Why to spend money for a better AAL if this could be already a part of my home appliance? This answer is maybe simple. A lot of projects will be considered isolated. Where is the analogy between a digital carpet and a washing machine? At the first view there is none and at the second view you will find out that the fridge or washing machine will replace the carpet easy. How many carpets we all have seen in basement or in the kitchen or even in bathroom? And maybe there were government subsidies for the digital carpet. I am not sure. Home appliance can do a lot in AAL and in further segments of IoT (Internet of Things). To do something and to reach a goal it makes sense to talk to people that maybe just don’t repeat that what 10 research companies told before.